For fans of Marie Lu comes the first book in an epic series that bends the sci-fi genre into a new dimension. "A truly beautiful novel that redefines the form." --Victoria Aveyard, bestselling author of Red Queen This morning, Kady thought breaking up with Ezra was the hardest thing she'd have to do. This afternoon, her planet was invaded. 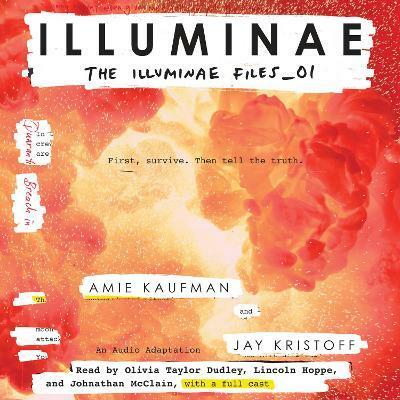 Told through a fascinating dossier of hacked documents--including emails, maps, files, IMs, medical reports, interviews, and more--Illuminae is the first book in a heart-stopping trilogy about lives interrupted, the price of truth, and the courage of everyday heroes. "Stunningly creative. Smart, funny, and romantic." --Veronica Rossi, bestselling author of Under the Never Sky "This is one of those rare books that will truly keep your heart pounding." --Beth Revis, bestselling author of Across the Universe "This book is xxxxing awesome." "Ambitious, heartbreaking, and out-of-this-world awesome." --Kirkus Reviews starred review "Kaufman and Kristoff have created a fast-paced, quasi-political sci-fi thriller that is completely unique." --Booklist starred review From the Hardcover edition. Amie Kaufman is the New York Times bestselling co-author of the Starbound series. Jay Kristoff is the award-winning author of the Lotus War series. Collectively, they are 12'5" tall and live in Melbourne, Australia, with two long-suffering spouses, two rescue dogs, and a plentiful supply of caffeine. They met, thanks to international taxation law, and stuck together due to a shared love of blowing things up and breaking hearts. You can learn more about Amie and Jay at amiekaufman.com and jaykristoff.com. From the Hardcover edition.